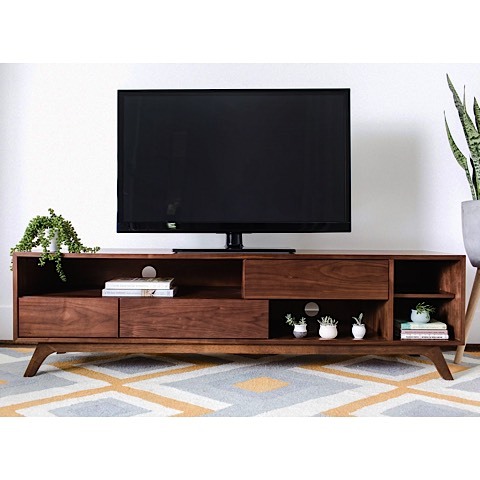 All too often we are forced to sacrifice style for functionality, but with the Malik Mid Century Modern TV Stand there is no need to choose between the two. Sitting on a retro chic walnut base, this mid-century beauty offers an assortment of storage options. As functional as it is stylish, Malik can effortlessly invigorate any room in your home with its unique beauty. Malik is constructed of solid wood with Walnut veneer. Some assembly required.